Sam Rainsy’s words have wholly based on empirical observation. 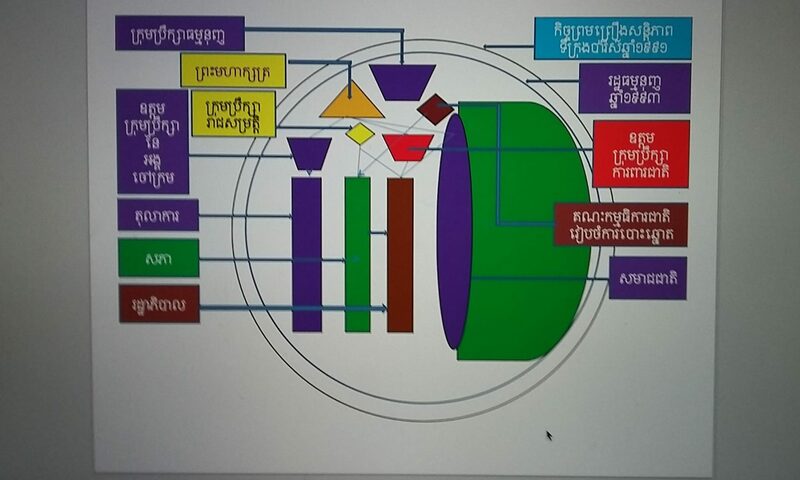 Academic analysts have previously found that decentralization and good governance reform in Cambodia is just a step for controlling party to renew their power. Culture of communist politics is to strengthen its power at the grassroots level, so the introduction of governance/decentralization from aids donors have been helpful to this basic concept. Aids donors have mismatched the concept of governance and decentralization in Cambodian context. SRP would be the very important party to reveal the misbehavior and unwillingness of the controlling party. Now Sam Rainsy has his inspiring words but it might not be effective at all. To ameliorate the shortage of this genuine decentralization, civil societies and aids donors are the most effective drive. 1. SRP has to be able to draw support as much as possible from rich people as well as lucrative private companies to donate money for its election campaign. Achieving this objective is crucial to win CPP. We can see that recently elected US president Barack Obama can surpass his rival Henry Clinton in accruing campaign donation. Money is the most important tool for SRP. 2. SRP has to change its behavior of too much self-esteemed of their internal few leaders. In this matter, we can see that SRP has never received any new well-educated members as well as those social elites into their party or to become its members/activists at all. So what happen from inside SRP’s outreaching policy? Is it too narrow minded or incapability of membership diversification? 3. SRP has to be wholly backed by some particular countries: China or US or other countries that wholeheartedly can lift this party up to become the government party. This might be the good proposal from SRP to find their life and death international alliance. These 3 recommendations might be substantial for Sam Rainsy and his colleagues if they want their party to win CPP and lead the country in the future.